The Joker's pretty crazy… crazy about keeping his stuff clean! 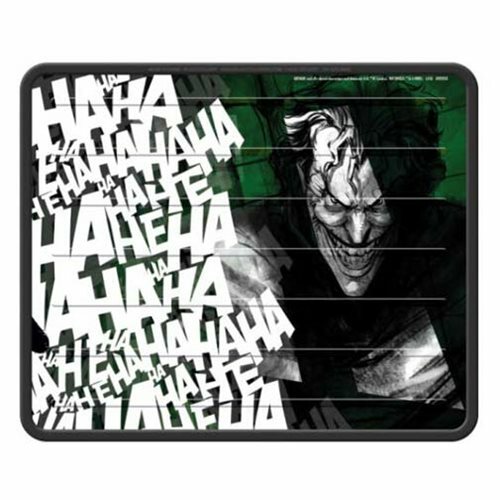 This Batman Joker Laughs Plasticlear Utility Mat features the Clown Prince of Crime looking as deranged as ever, next to his signature "Hahahaha" design. Utility mat measures 17-inches tall x 14-inches wide.